My research of late has explored the responses of Muslim elites and communities to the arrival of missionaries and colonial administrators across Uganda. Sources primarily comprise of missionary accounts, official documents of the colonial administration, manuscripts and books by Ugandan intellectuals and scholars, and work by non-Ugandan anthropologists, most of whom were most active between the 1960s and 1980s. The best and most detailed accounts tend to be authored by Ugandans, often those who played active roles in shaping the course of the country’s history. Unfortunately, these works are also the most difficult to find. Makerere University Libraries are perhaps the best resource, but you must have university affiliation to use the libraries and you cannot check out or, understandably, copy the books. Thus, many of Uganda’s most precious historical works are quietly locked away from the public. I’ve identified a class of what I will call “endangered books”. These are books (or theses, etc.) that are now out of print or have never been published, and are virtually impossible to access or acquire without affiliation to a university with a very good library. Many of the authors have passed on, and are not able to lobby for the protection of their hard work. I don’t imagine there is a huge market for many of these books, yet unless steps are taken to republish them, a fire or two is capable of wiping out their existence. I’m keeping a running list of these works below as I come across them. 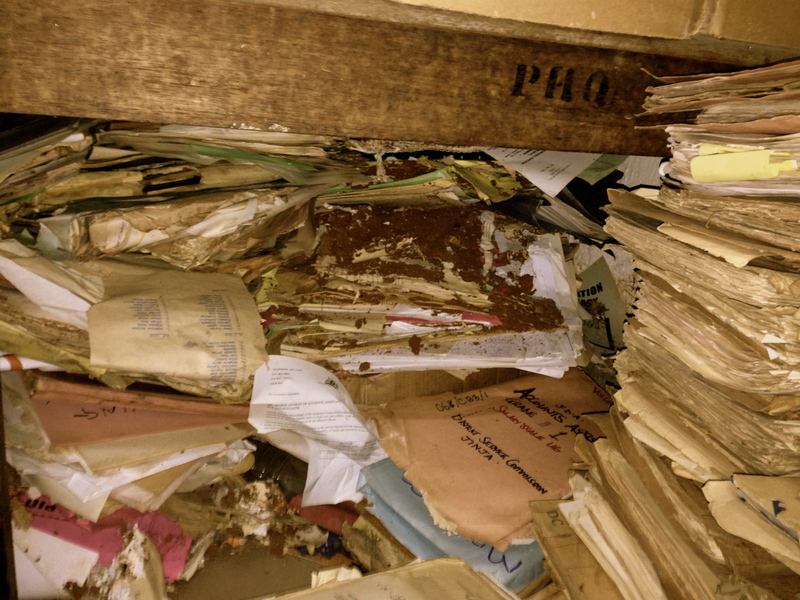 Hopefully I can convince a publisher to take interest in making sure these treasures do not fall victim to the decay currently facing many archives across Africa (see Jinja archives above). Please feel free to submit your own. Y.K. Lubogo. 1960. The History of Busoga. Jinja, Uganda: East Africa Literature Bureau. This morning I was thinking about how easy one can at least ensure such book are saved in PDF. Supposing one pays a secretary to type out the books and save them in PDF as we wait for a publisher to keep interest? I think that’s a good short-term solution. We just need to find some interested parties willing to support such an effort. How do public libraries operate in the US? Are they privately run? In my experience in the U.S. they are run by cities or counties, but there is nothing to stop someone from starting a private-not-for-profit library here that is open to the public. I think a PNFP model would work better in Uganda. Government is already over-stretched, and unable to run a functional public library system at this point. I work at the World Digital Library (part of the Library of Congress) and we have partnered with various libraries across Uganda. You’ll be happy to know that the 1962 edition of The History of Busoga has been digitized and will hopefully be online in the near future. Thanks, Chris. That’s great to know. Kindly share the link when it becomes available. Is there someplace one can find out which other books from Uganda are being digitized? Will do. Unfortunately there is no place, as far as I know, to find out what books are being digitized.